The Sea Mammal Reserach Unit is involved in many areas of marine mammal research and much of the work done is presented in the form of reports for funders. Links to these reports can be found below. As part of the International Whaling Commission’s Pollution 2020 initiative, we have developed a framework for assessing the effects of pollutants on cetacean populations. Details of the model are described in our paper Hall et al., 2018. ‘Predicting the effects of polychlorinated biphenyls on cetacean populations through impacts on immunity and calf survival’. Environmental Pollution, 233; 407-418. The R code is also available with the paper. A user friendly interface can be found here. To access the information in the linked page, please insert the password PCB and the username should be IWC. The Intervet Guidelines to Vaccinating Wildlife, published in 1991, are available for download. Annual and final reports funded by Scottish Government under the Marine Mammal Scientific Support Research Programme can be found here. Other reports for Scottish Government funded work are given below. Investigations into the interactions between harbour seals (Phoca vitulina) and vessels in the inner Moray Firth (2016). Onoufriou, J., Jones, E.L., Hastie, G.D. & Thompson, D. Scottish Marine and Freshwater Science; vol. 74, no. 24. Grey Seal Diet Composition and Prey Consumption (2016). Hammond, P.S. & Wilson, L.J. Scottish Marine and Freshwater Science Vol 7 No 20, 47pp. Scottish Government Demonstration Strategy: Trialing methods for tracking the fine scale underwater movements of marine mammals in areas of marine renewable (2016). Sparling, C.E., Gillespie, D.M., Hastie, G.D., Gordon, J.C.D., MacAulay, J.D. J., Malinka, C.E., Wu, G-M. & McConnell, B.J. Scottish Marine and Freshwater Science Vol 7 Vol 14. Evaluating and Assessing the Relative Effectiveness of Acoustic Deterrent Devices and other Non-Lethal Measures on Marine Mammals (2014). Coram, A. J., Gordon, J. C. D., Thompson, D. & Northridge, S. Scottish Government, pp. 145. Studies of harbour seal behaviour in areas of high tidal energy: Part 1. Movements and diving behaviour of harbour seals in Kyle Rhea (2014). Thompson, D. Scottish Government, pp. 22. Long term Effectiveness of an Acoustic Deterrent for seals in the Kyle of Sutherland (2011). Harris, R.N. Scottish Government. pp. 10. Entanglement of minke whales in Scottish waters; an investigation into occurrence, causes and mitigation (2010). Northridge, S., Cargill, A., Coram, A., Mandleberg, L., Calderan, S. & Reid, B. Scottish Government. pp. 57. Seal diet at salmon net fisheries (2014). Harris, R.N., Sievers, C. & Northridge, S. Scottish Government and Scottish National Heritage. pp.10. 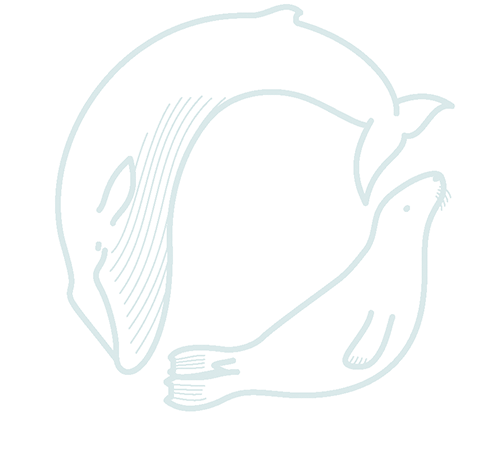 Marine Mammal Research at Wild Salmon Fisheries; 2013 Annual Report (2014). Harris, R., Fowden, D., Froude, M. & Northridge, S. Scottish Government and Scottish National Heritage. pp.29. Marine Mammals and Salmon Bag-Nets (2012). Harris, R.N. Marine Scotland and Scottish National Heritage. pp.31. Interactions between seals and offshore wind farms (2012). McConnell, B., Lonergan, M. & Dietz, R. The Crown Estate, 41 pages. ISBN: 978-1-906410-34-6. Updated grey seal (Halichoerus grypus) usage maps in the North Sea (2016). Jones, E.L. & Russell, D.J.F. Report for the Department of Energy and Climate Change (OESEA-15-65). pp15. 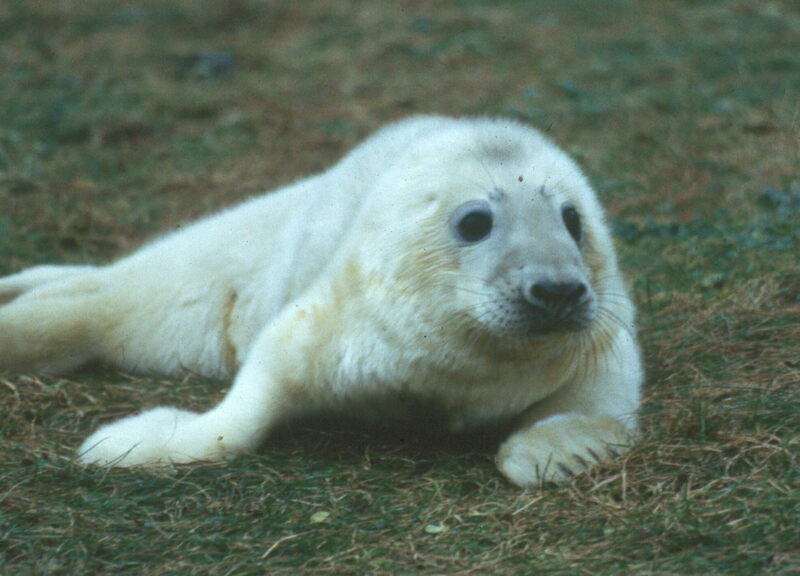 Movements of grey seal that haul out on the UK coast of the southern North Sea. (2016). Russell, D.J.F. Report for the Department of Energy and Climate Change (OESEA- 14-47). Review of analytical approaches for identifying usage and foraging areas at sea for harbour seals. (2017). Jones, E.L., Smout, S., Russell, D.J.F., Pinn, E.H. & McConnell, B.J. DEFRA, pp.42. Annual Report on the Implementation of Council Regulation (EC) No 812/2004 during 2016. (2017). Northridge, S.P., Kingston, A.R. & Thomas, L.J. DEFRA, pp.36. Annual report on the implementation of Council Regulation (EC) No812/2004 during 2015. (2016). Northridge, S., Kingston, A. & Thomas, L. DEFRA, pp. 44. Annual report on the implementation of Council Regulation (EC) No 812/2004 during 2014. (2015). Northridge, S., Kingston, A. & Thomas, L. DEFRA, pp. 41. Annual report on the implementation of Council Regulation (EC) No 812/2004 during 2013. (2014). Northridge, S., Kingston, A. & Thomas, L. DEFRA, pp. 36. Report to the European Commission on the Implementation of Regulation 812/2004 by the United Kingdom for the Calendar Year 2012. (2013). Northridge, S., Kingston, A. R. & Thomas, L. DEFRA, pp. 28. Report to the European Commission on the Implementation of Regulation 812/2004 by the United Kingdom for the Calendar Year 2010. (2011). Northridge, S.P., Kingston, A.R. & Thomas, L. DEFRA, pp. 21. Bycatch of Vulnerable Species: Understanding the Process and Mitigating the Impacts. : Final report to Defra project MF1003. (2011). Northridge, S., Kingston, A.R., Mackay, A. & Lonergan, M. DEFRA, pp.99. Review of analytical approaches for identifying usage and foraging areas at sea for harbour seals. (2017). Jones, E.L., Smout, S., Russell, D.J.F., Pinn, E.H. & McConnell, B.J. JNCC Report 602, ISSN 0963-8901. Strategic Regional Pre-construction Marine Mammal Monitoring Programme Annual Report 2016. (2016). Graham, I. M., Cheney, B., Hewitt, R., Cordes, L., Hastie, G. D., Russell, D. J. F., Arso Civil, M., Hammond, P. S. & Thompson, P. Annual report for the Moray Firth Regional Advisory Group, University of Aberdeen. pp. 58. Grey seal and harbour seal indicators for the Marine Strategy Framework Directive: Sea Mammal Research Unit Report to Scottish Government. (2015). Hanson, N.N. & Hall, A.J. Sea Mammal Research Unit. pp. 37. NERC Knowledge Exchange: An Autonomous Device to Track Porpoise Movements in Tidal Rapids. (2015). Macaulay, J., Gordon, J., Gillespie, D., Malinka, C., Johnson, M. & Northridge, S. Sea Mammal Research Unit. pp. 32. Evaluation of a Drifting Porpoise Localising Array Buoy: A novel configuration for tracking porpoises in tidal rapids using passive acoustics. Internship Report for the NERC Marine Renewable Energy Knowledge Exchange Programme. (2015). Malinka, C.E., MacAulay, J.D.J., Gordon, J.C. D. & Northridge, S. NERC. pp. 24. Wave and Tidal Consenting Position Paper Series: Marine Mammal Impacts. (2013). Sparling, C.E., Coram, A.J., McConnell, B.J., Thompson, D., Hawkins, K.R. & Northridge, S. NERC. pp. 11. SCOS reports from 1990 onwards can be found here. International Quiet Ocean Experiment science plan. (2015). Tyack, P. L., Frisk, G., Boyd, I., Urban, E. & Seeyave, S. (eds). Scientific Committee on Oceanic Research / Partnership for Observation of the Global Oceans. pp. 111. Plugging the Gaps – Improving Our Knowledge of How Predators Impact Salmon Farms. (2016). Coram, A. J., Mazilu, M. & Northridge, S. P. Scottish Aquaculture Research Forum. pp. 42. Behavioural Responses Of Seals To Pulsed, Low-Voltage Electric Fields In Sea Water (Preliminary Tests). (2013). Milne, R., Lines, J., Moss, S. & Thompson, D. Scottish Aquaculture Research Forum. pp. 24. Surveys of harbour and grey seals on the south-east (border to Aberlady Bay) and south-west (Sound of Jura to Solway Firth) coasts of Scotland, in Shetland, in the Moray Firth and in the Firth of Tay in August 2015. (2016). Duck, C.D. & Morris, C.D. Scottish Natural Heritage Commissioned Report 929. pp. 43. Data based estimates of collision risk: an example based on harbour seal tracking data around a proposed tidal turbine array in the Pentland Firth. (2016). Thompson, D., Onoufriou, J., Brownlow, A. & Morris, C. Scottish Natural Heritage Commissioned Report 900. pp. 41. Harbour seal haul-out monitoring, Sound of Islay. (2015). Paterson, W., Russell, D.J.F, Wu, M., McConnell, B.J. & Thompson, D. Scottish Natural Heritage Commissioned Report No. 894. pp. 53. Surveys of harbour and grey seals on the west coast of Scotland (Ullapool to Scarba), in the Moray Firth and in the Firth of Tay, in August 2014. (2015). Duck, C.D. & Morris, C.D. Scottish Natural Heritage Commissioned Report No. 869. pp. 36. Surveys of harbour (common) and grey seals in Orkney, the north coast of Scotland, the Moray Firth and the Firth of Tay in August 2012. (2013). Duck, J. & Morris, C. Scottish Natural Heritage Commissioned Report No. 572. pp. 36. Surveys of harbour and grey seals on the east, north and north-west coast of Scotland and in Orkney, including the Moray Firth and the Firth of Tay, in August 2013. (2014). Duck, C.D. & Morris, C.D. Scottish Natural Heritage Commissioned Report No. 759. pp.40. Surveys of harbour (common) and grey seals in the Outer Hebrides and the Moray Firth in August 2011. (2012). Duck, C., & Morris, C. Scottish Natural Heritage Commissioned Report No. 518. pp. 31. Establishing the sensitivity of cetaceans and seals to acoustic deterrent devices in Scotland. (2014). Lepper, P., Gordon, J.C.D., Booth, C.G., Theobald, P., Robinson, S., Northridge, S. & Wang, L. Scottish Natural Heritage Commissioned Report No. 517. pp. 121. Surveys of harbour (common) seals in Orkney in August 2010. (2011). Duck, C. & Morris, C. Scottish Natural Heritage Commissioned Report No.439. pp. 28. Report on the distribution and abundance of harbour seals (Phoca) during the 2015 and 2016 breeding seasons in The Wash. (2016).D. Thompson, J. Onoufriou & W. Patterson. REPORT NUMBER: SMRUC-DOW-2016-016, DECEMBER 2016 (UNPUBLISHED). pp. 43.